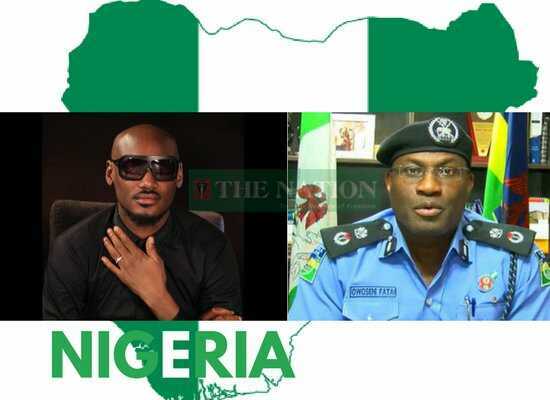 After the 2 week-long publicity on the One Voice Nigeria Protest against the Nigerian Government's harsh policies and economic hardship, the music legend Tuface Idibia who was the main ambassador have cancelled it. But read on to see how It cannot be cancelled. The Police through its Lagos State Commissioner, had sworn to stop the protest last week due to what they called "a possible hijack of the protest by hoodlums". To this Tuface kept his resolve stating that Enough is Enough, thereby giving hope and vigour to Nigerian's resolve to voice out their grievances on the set date. Some top notch Nigerians have prepared their white, green and other shirts to participate in the widely publicised protest slated for Monday, February 6, 2017 in Abuja and Lagos and then I woke up to a video by Tuface this Sunday morning on Instagram and Facebook cancelling it. While, I respect this extraordinary man Tuface Idibia and celebrate him, I want to state a few things that we as young people who wanted this protest would have done with Tuface to prove every enemies of Nigeria wrong. I mean, we would have planned the protest better to hold without breaking much sweat especially without spilling the blood of any Nigerian. 1. Started 3 days ahead of the slated date, to start circulating rules and regulations as memo to all intending participants of the protest, security officials and even for Nigerians staying at home, to watch. This could have been done still via social media and other media. 2. The protest would have been made into an organised straight-line march that will take over the cities well coordinated by security and Road safety officials who would flank the queues. 3. Any intending protester would be briefed on the whole modality including start offs and end points of protest routes in the cities including car park arrangement. 5. The placards-carrying protesters would just have been a long stretch of humans marching (in 5 rows) in unison SILENTLY in what would have seemed, and rightly so, a national mourning day. 6. The protesters would have been briefed on how to behave if stopped or deterred at any point of the march by security, and that will be to stop and keep mute while the frontliners would communicate the essence at every point. This kind of organisation would have made it easy to identify hoodlums, or hijackers and then the security officials would have done their jobs of whisking away defaulters and with the media coverage, it would have been obvious who the enemies of the protest were. I agree that this organisation would have needed a lot of planning, coordination and human compliance but nothing beats the media mode of information ahead. In all, as some Nigerians are hailing Tuface and organisers of the protest while some others think he chickened out at the last minute and disappointed them, I still think we can organise better protest s with some of these my idea of course and we would have a landslide success. In the real sense, considering the possible mayhem that may have occurred if the protest had taken place tomorrow, it would have been best to postpone it, rather than cancel it. Shortest live economic hardship and bad leadership! Like Tuface said, I hope the government has indeed heard our voice! Fellow Nigerians, this hardship we are facing we can collectively get out off as we keep on reinventing ourselves and finding solutions that can stand the test of time.